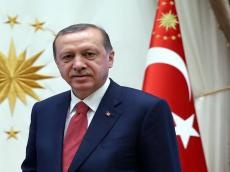 Hagia Sophia will not function as a mosque, said Turkish President Recep Tayyip Erdogan, commenting on the terrorist attacks in mosques in New Zealand, Trend reports referring to the Turkish media. The head of state added that the terrorist who had attacked Muslims in mosques in New Zealand had twice been to Turkey, and the purposes of his visits and who he met with are currently being specified. Turkish Vice President Fuat Oktay and Minister of Foreign Affairs Mevlut Cavusoglu flew to New Zealand on March 16, 2019. According to latest reports, 49 people have been killed, and 20 seriously injured, after gunmen opened fire at two mosques in the New Zealand city of Christchurch on March 15. Four suspects were detained.